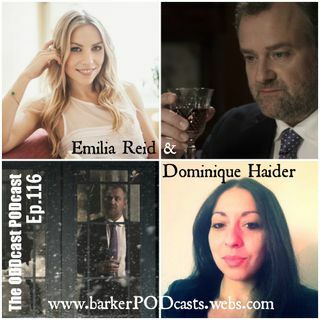 In this Episode of The ODDcast PODcast UK, Adam sits down with Filmmakers Emilia Reid and Dominique Haider to discuss their short film "The Dinner Party" starring Downton Abbey's Hugh Bonneville. The Three discuss the process of making a short film, The conception of an idea, Getting a short film seen, working with Hugh and also much more chat about Short films, Being ... Más informaciones pretentious and other hilarious chat. An Informative and equally funny chat with two extremely talented ladies.